The resources in this blog post are a perfect fit for the third grade classroom. 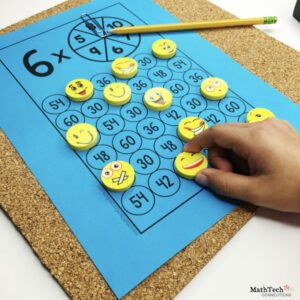 You may use them as early finishers or math centers for students to practice their fact fluency. Fill out the form located at the bottom of this post to receive the free printables! This can easily be turned into a partner game. Each student can pick a color and their goal can be to get 4 in a row. You can save on paper by laminating the cards (or putting them in sheet protectors). Students can then use cute erasers to cover the product. The emoji erasers pictured below are from amazon. Click here for the affiliate link. 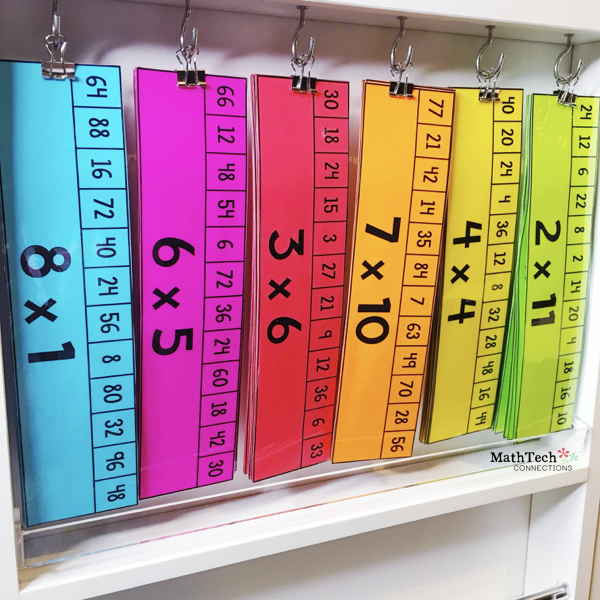 This math center was also made to bring some fun and color into the classroom. I wanted a fact fluency center that students could practice, self-check, and reuse as needed. 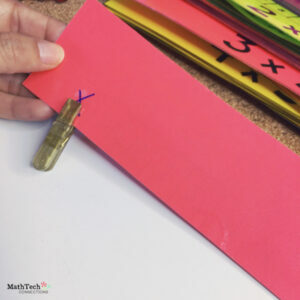 This activity covers facts 1-12 and is meant to be used with clips. You can use a variety of fun clips from the Target dollar spot. 🙂 Subscribe to download the free resources. 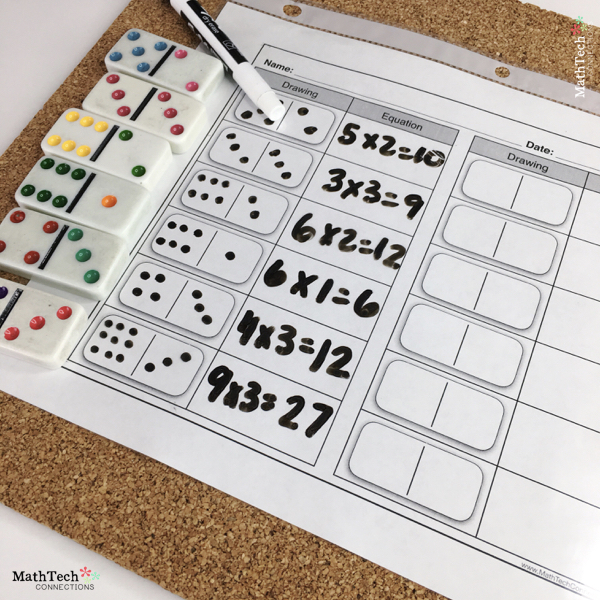 This dominoes activity brings some fun into math centers. 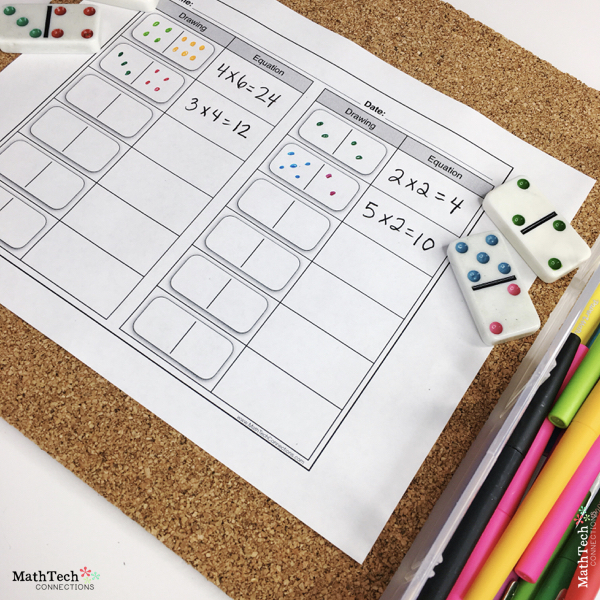 It can be used as a printable where students color the dominoes to match. You can decided to place the sheet inside a sheet protector to save paper. This dominoes game can easily be turned into a partner game. Students place several dominoes facing down, each selects a domino, and creates a multiplication equation. The rule can be the lowest product wins or the highest product wins. My third graders enjoyed math magician. This can be assigned as a computer center or played whole group when you have less than 10 minutes available. Students loved to write the winning time on the board. Manga High is FREE and has such engaging math games. 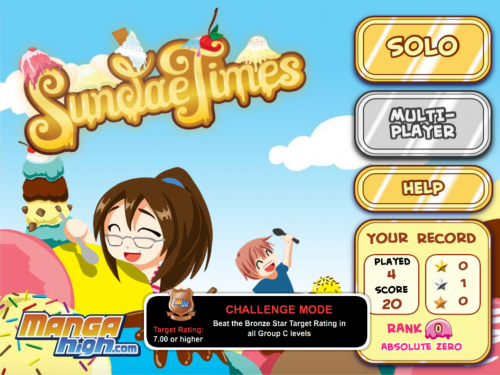 My favorite fact fluency game is Sundae Times. After creating a teacher account and student accounts (all free), students can compete with each other. This is a real hit! 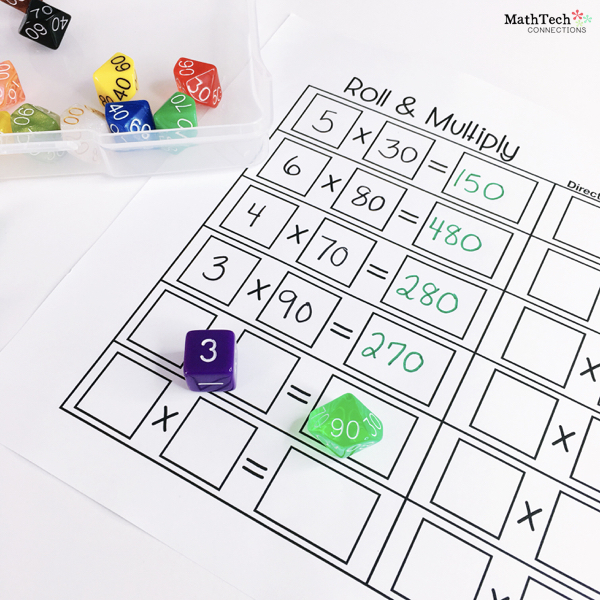 Having a variety of dice can be helpful when differentiating for fact fluency. 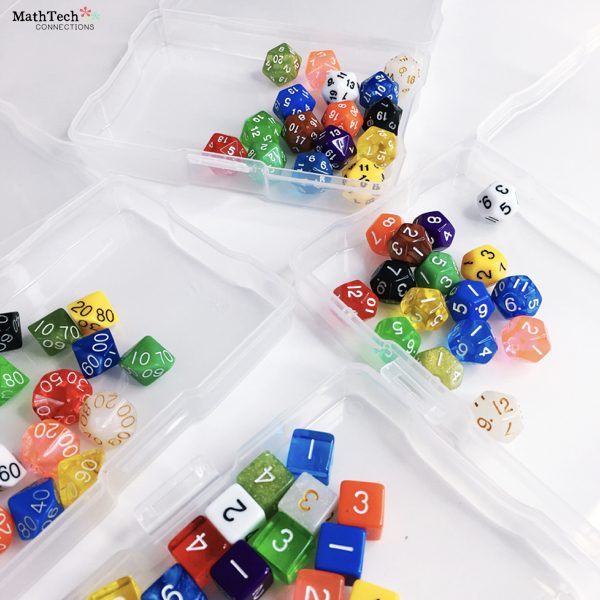 This bundle of dice (affiliate link) has a great variety. 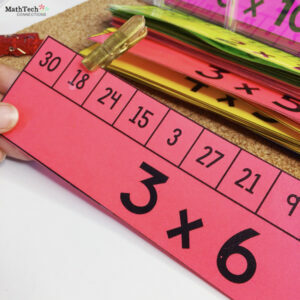 You can create a center to practice multiplying multiples of 10, facts up to 12, or facts up to 20. Students can use the free printable sheet to record their answers. 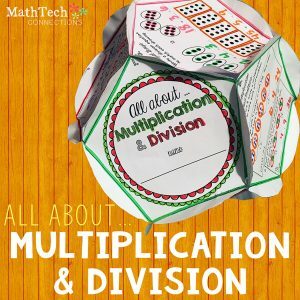 This dodecahedron project is a great review activity for multiplication and division. I used this project as an end of unit activity. Students are excited to put the project together, so their work is always excellent. Click here to view the resource. Watch the video to see how to see one way of putting the dodecahedron together. 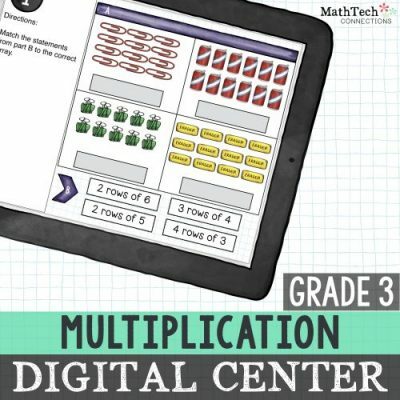 Digital interactive math centers are always a hit with students. Each center includes a Google Slides version and a PowerPoint version. You can assigned them using Google Classroom or complete the activity whole-group using a smart board or a simple projector. The video below shows the slides included in Practice 1 of this resources. Click here to view the resource. The video below shows a preview of the math resource. These look great. I’d love to try them in my class. I love these ideas. Do the dot markers get messy? It’s like a glue bottle..only a dab will do 🙂 It won’t be messy if students press gently. This will be a great use to differentiate instruction, collect data, or even use in Kagan activities. Is this the form we fill out for the free math activities? great ideas!!! would love to use in these in my classroom!! Would love to try in my Homeroom. You always have great ideas. Thank you ! Hello! I really think one of the kids I tutor would really benefit from the first game with the spinner and the Bingo dobber! Creative Ideas!!! Thank You for sharing. These are perfect for differentiated instruction. These sound great! Colorful and fun! I can’t wait to use them! Great ideas to work on fluency with products. Quick and easy! These activities are easy and effective to implement into the classroom. 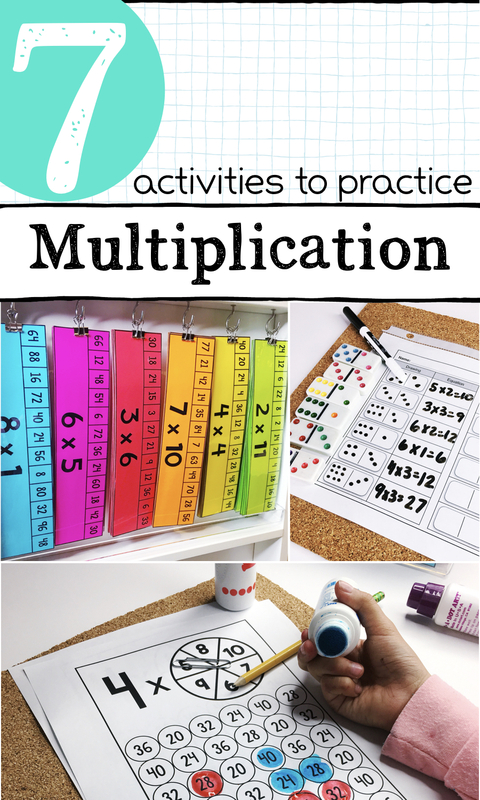 These are great activities especially for my hands on math stations. 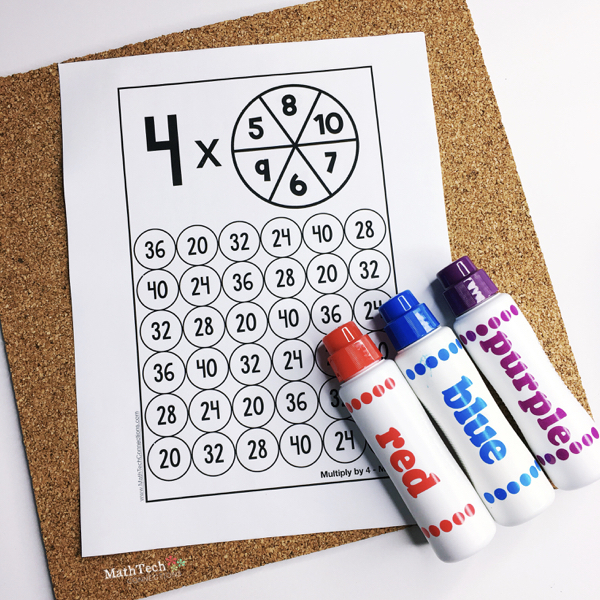 These look great to use during center rotations or early finisher activities! Thanks for creating and sharing them! 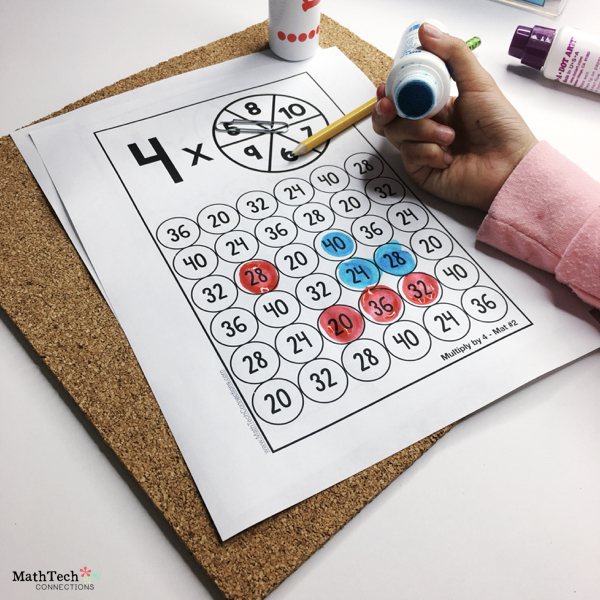 These activities will help my third graders learn their multiplication tables. I am currently tutoring a 5 year old in multiplication so finding activities that are fun enough to keep her engaged whilst still helping her learn is a fine line! These activities look like just what I’m after, thank you so much. 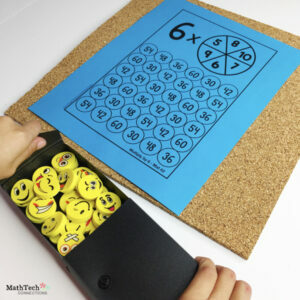 I like your multiplication games! 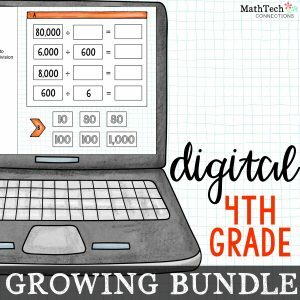 I’d love these resources for my class! 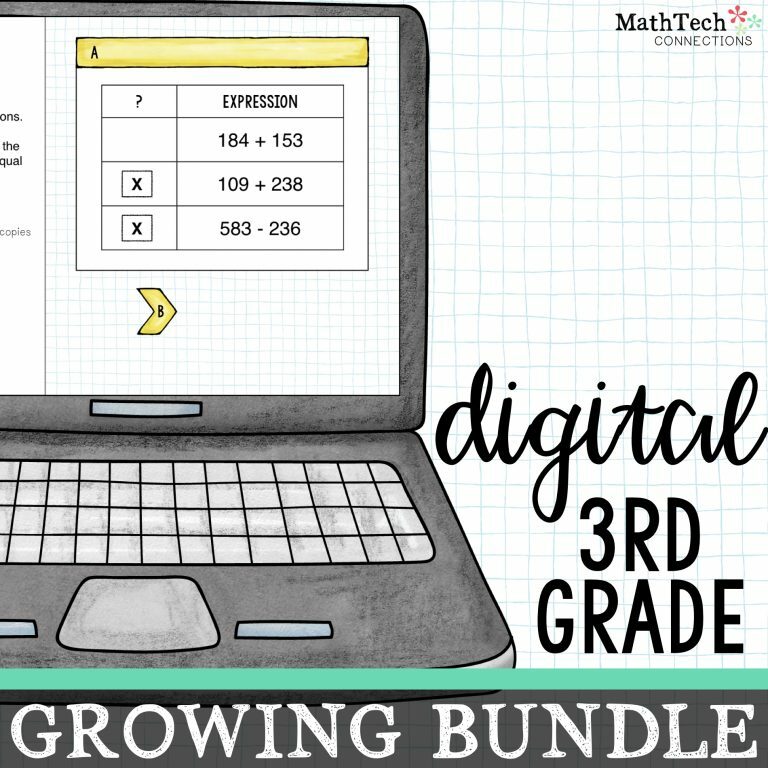 I’d love these resources for my third grader lovelies! These look great. 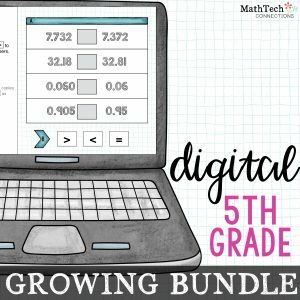 I teach special education middle school and look forward to adding these to the other techniques I use to teach my students. Just discovered your resources! LOVE THEM! Plan to use them next year! I would love to have these but I havent received any email with these yet. 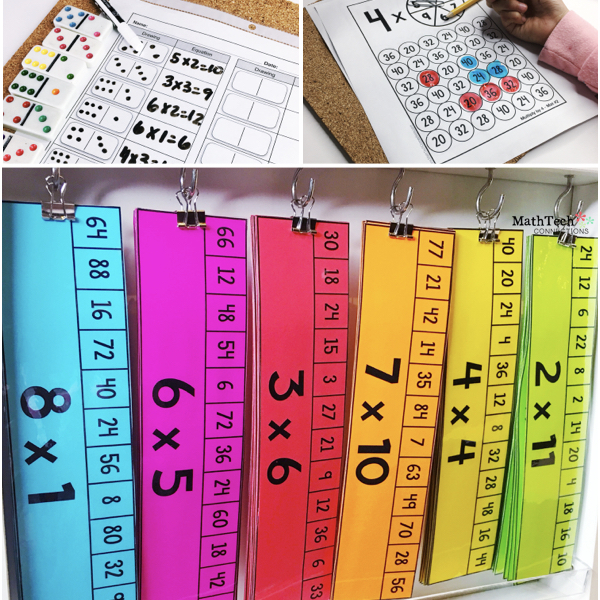 I’m so excited to find new activities to help students learn their math facts! It’s year #26 for me, and I’m burned out on the old stand-bys! Thanks for sharing! Hello! How do I get access to these resources? I have already subscribed to the newsletter and have not heard anything back? These activities are just what I was looking for to add to my centers. Please keep sending more ideas.